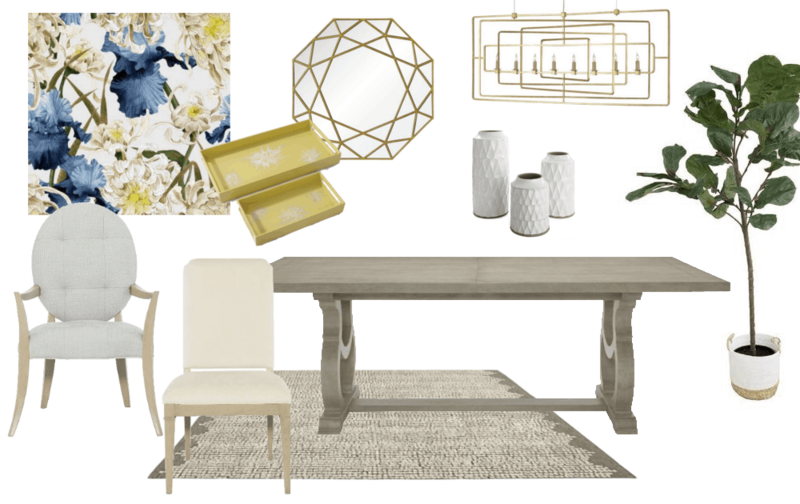 For this dining room concept, I wanted to create a fresh and light-hearted feel with a dose of sophistication. A stunning floral digital print will create a feature wall that is both luxurious and fun. 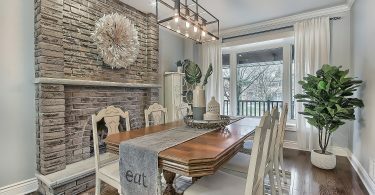 Using light wood furniture and textural materials through-out the room gives the dining room a natural and casual feeling. 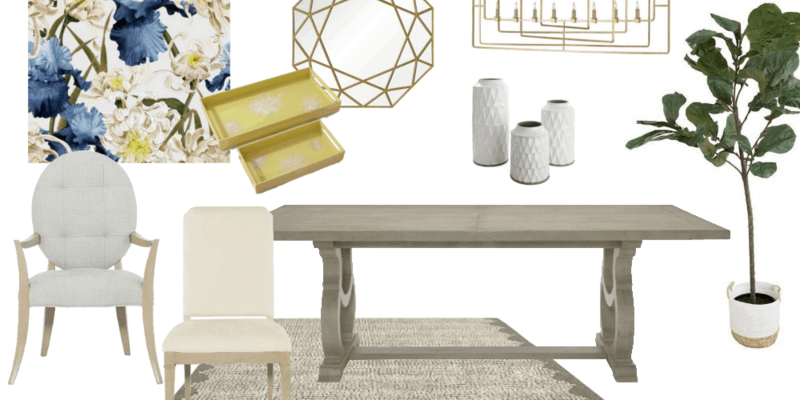 The overall color palette is a sophisticated blend of subtle neutrals and elegant gold finishes but the feature wall and a few pops of color keep the look light and fun.